Audi has debuted a new electric four-door coupe at the Los Angeles auto show. 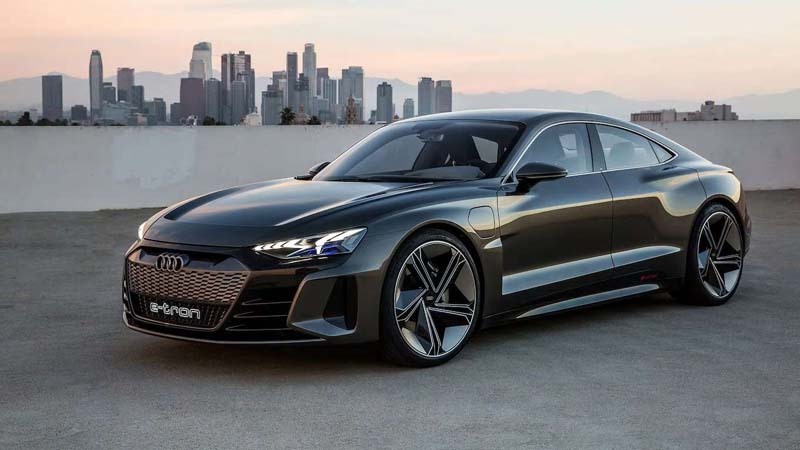 Called the E-Tron GT, the model delivers a whopping 590 hp from its all-electric powertrain. 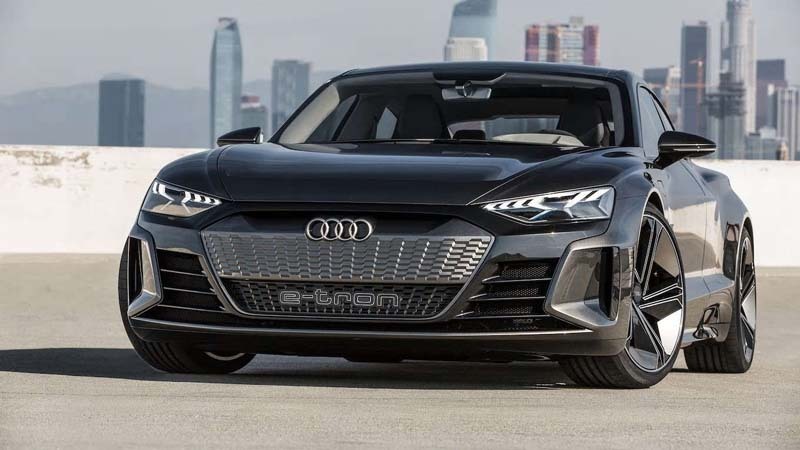 The Audi E-Tron GT will begin volume production in late 2020, following the launch of the E-Tron SUV and E-Tron Sportback. A lithium-ion battery takes up the underfloor area. 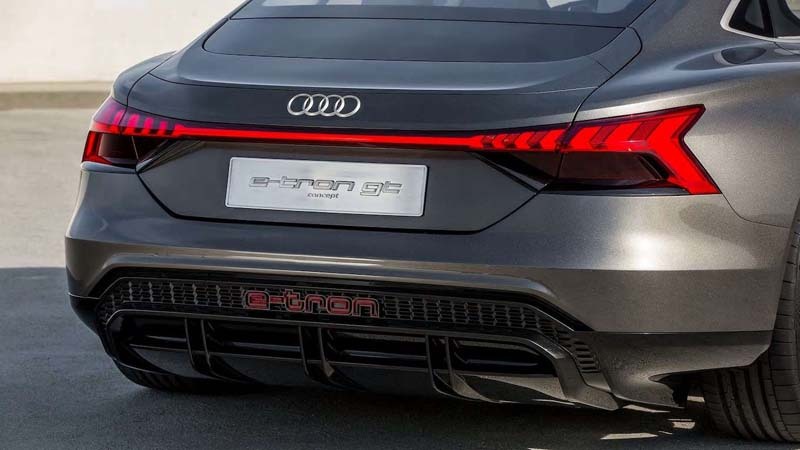 Separate motors on the front and rear axles deliver 590 hp to hit 62 mph in 3.5 seconds, Audi estimates. Top speed is limited to 149.1 mph in order to preserve range. Power is delivered to all four wheels, and all-wheel steering is said to improve agility. We're not sure about the EPA scale, but according to the WLTP cycle, the E-Tron GT can travel more than 248.5 miles on a single charge. Wireless charging is available. But through fast charging, the coupe, which is fitted with an 800-volt system, can juice back up to 80 percent of its capacity in 20 minutes. The radical styling falls in line with the E-Tron SUV. 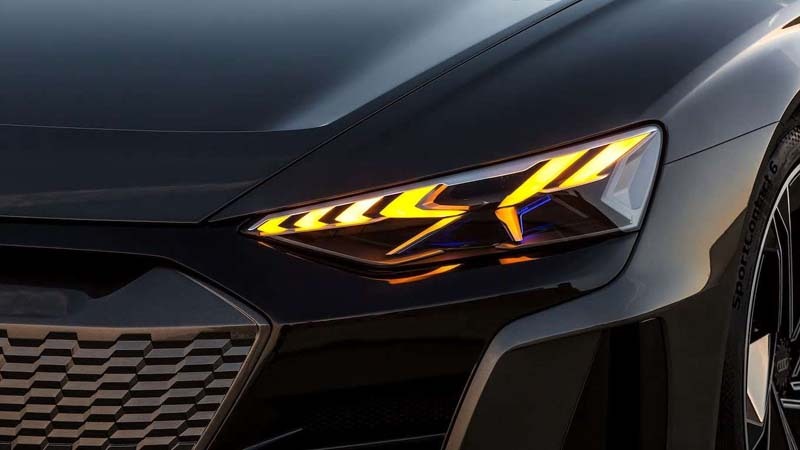 It has enormous 22-inch wheels, sharp body lines, and dramatic matrix LED headlights with laser high beam technology. Measuring 16.3 feet in length, this is a fairly long coupe. Audi says the model has a low center of gravity comparable to the Audi R8. To aid aerodynamics, Audi fitted the concept with air vents in the wheel arches and a solid rear diffuser. Inside, you'll find just four seats. There are two cargo areas—a large 15.9-cubic-foot trunk and a small 3.5-cubic-foot frunk. 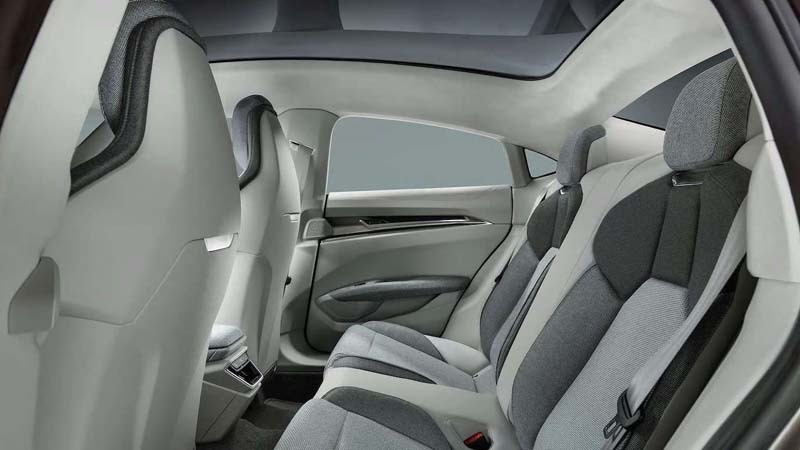 Continuing the green theme, the E-Tron GT boasts a vegan interior with synthetic leather. Recycled fibers make up fabrics that are used in the seat cushions, armrests, and the center console, and microfiber materials adorn the headliner. 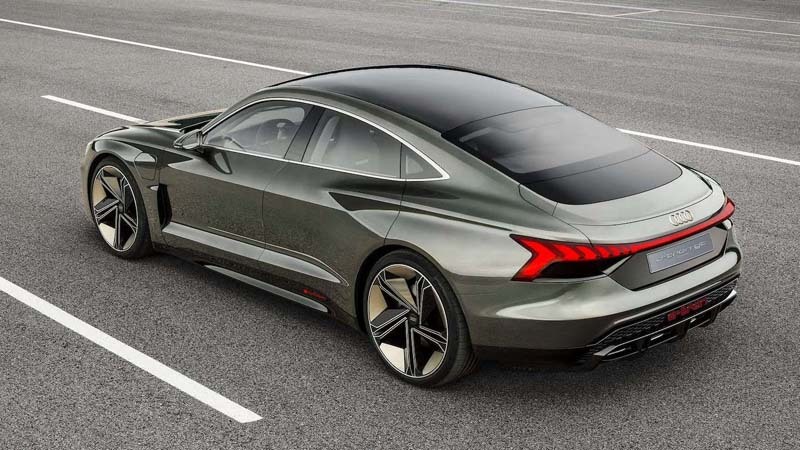 Deliveries of the AudiE-Tron GT will begin in early 2021.